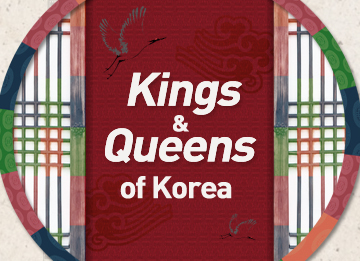 King Pyeongwon is said to have been brave and also good at horseback-riding and archery. After ascending to the throne in the year 559, the king established diplomatic relations with various Chinese dynasties such as Chen, Sui, Northern Qui and Later Zhou. He also sent tributes to those dynasties in an effort to maintain stable relations with them. Obviously, the king followed his country’s traditional foreign policy of seeking peace with Chinese tribes. Inside the nation, the king promoted agriculture and sericulture. He trimmed down the royal cuisine out of concern for his starving people. The king tried to resolve the internal political conflict that had been lingering since his father’s reign. However, by the time when Pyeongwon became king, the royal authority was already weakened significantly by the noble class. In 586, he moved the capital southward to Jang-an, which is present-day Pyongyang. During his reign, the alliance between the two southern kingdoms of Baekje and Silla collapsed, and the three kingdoms, including Goguryeo, confronted one another on the Korean Peninsula. “Ondal the Fool and Princess Pyeonggang,”one of Koreans’ beloved folktales, originated from this period. Pyeonggang was the daughter of King Pyeongwon. The princess cried all the time when she was little. The king found this very irritating, so he used to tell her that he would marry her off to the notorious fool named Ondal if she wouldn’t stop crying. Of course, the king mentioned the fool’s name as a joke in order to make his baby princess stop crying. When the princess grew up to be a beautiful lady, the king wanted her to marry a man from a noble family. But the princess didn’t agree. She reminded the king of what he had told her when she was a child. She insisted that she marry the fool as the king had promised. The king became angry and expelled her from the palace. The princess went to Ondal’s house and married him. She discovered that Ondal was not a fool. She sold her expensive accessories to buy a house as well as a horse and sword for her husband. She helped him learn reading and writing, archery, horseback-riding and martial arts. Years passed, and one day, King Pyeongwon was attending a hunting competition when a courageous warrior caught his eye. Hearing the warrior’s name, Ondal, the king instantly knew that the man was none other than the husband of his daughter, whom he had thrown out of the palace a long time ago. With tears of joy and regret, the king finally accepted Ondal as his son-in-law and brought the princess back to his palace. Later, Ondal became an excellent general and led his army to victory in many battles. Thanks to this story, King Pyeongwon is actually better known as the father of the legendary princess Pyeonggang. He died in 590, after 31 years on the throne.